Nestled amid the dunes, the deals at Montauk Manor take an otherwise lavish destination and make it pleasantly affordable during the off-season. The deal for 2018 is that if you stay for three consecutive nights, the fourth night is free (until December 27)! During your stay, stroll the sandy shores of Montauk Point State Park—free from crowds and tourists, you’ll quickly realize that the winter months reveal Eastern Long Island’s raw, unspoiled beauty. 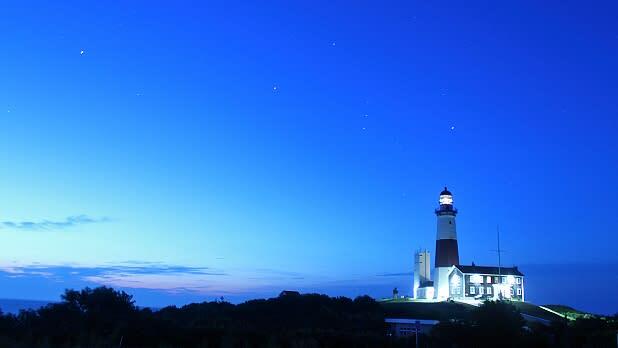 Montauk Point Lighthouse offers free parking over the winter, and while you can&apos;t go inside past December, the views from Turtle Hill and vantage point from Camp Hero make this stop a must-do any season. Later, warm up by tasting a variety of blends at Channing Daughters Winery or visit Montauk Brewing Company to sample the latest craft brew creations. An 11-minute walk from Canalside, Adam&apos;s Mark Hotel and Event Center is a comfortable, budget-friendly place to rest your head. 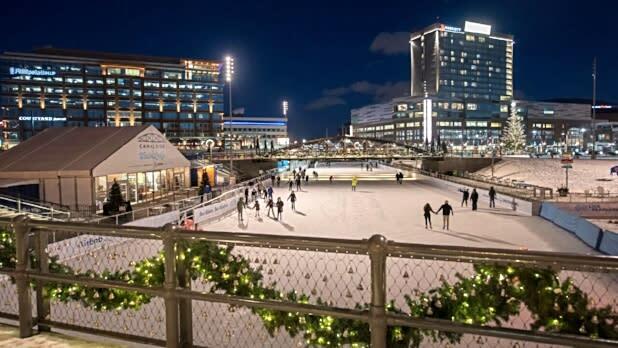 Located in the heart of Buffalo’s downtown, you’ll enjoy easy access to the waterfront where ice skating, art, eateries, and free events run daily. Take a drive to nearby Niagara Falls for free access to the wonder of the Northeast or head to Anchor Bar for the spicy chicken wings that put Buffalo on the map. Sure, you could go full-on luxury at Lake Placid Lodge, but there are other options for other budgets that are just as cozy. Try Crowne Plaza Resort & Golf Club, with rooms starting at $114 a night. The Great Room Lobby & Bar has a roaring fireplace, or ask for a room with a fireplace and/or Jacuzzi for some extra coziness. Try all four of the resort&apos;s restaurants, take a dip in the indoor pool, or go on an excursion on frozen Mirror Lake with Thunder Mountain Dog Sled Tours. 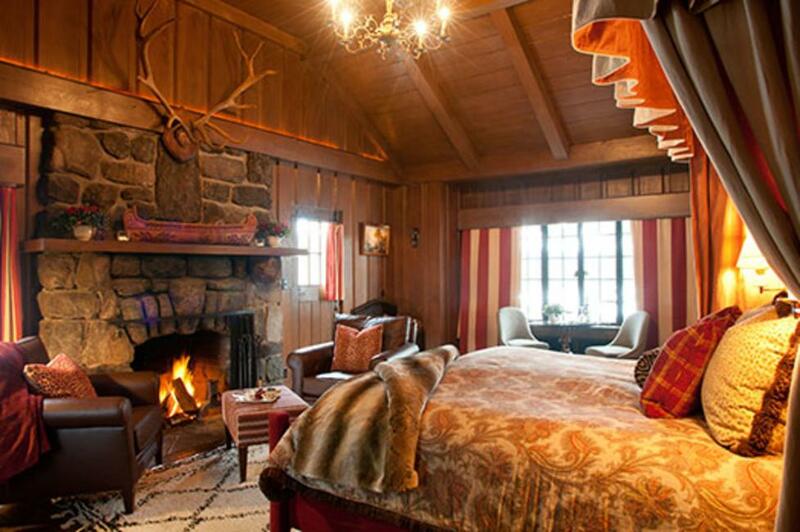 Set in an old movie house, Rivertown Lodge exudes warmth and upstate nostalgia from the lobby’s wood-burning stove to the vintage-modern ambiance in its thoughtfully decorated guest rooms. Known for outstanding service and delicious food, this boutique hotel offers equally delightful deals: stay for two weeknights and get the third night free Sunday through Thursday. 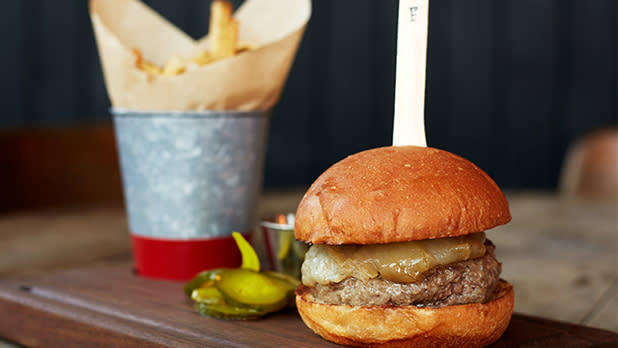 Located in the heart of the village, you’re walking distance from farm-to-table grub at Wm. Farmer & Sons, live music at Helsinki Hudson, and a short drive from Olana State Historic Site. 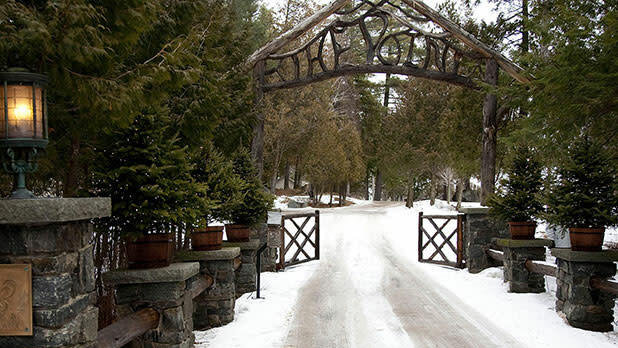 The Copperfield Inn Resort is chock-full of winter deals, and it&apos;s just a seven-minute drive from Gore Mountain, so you&apos;re guaranteed an unforgettable Adirondack vacation. See their many different winter packages including the Gore Getaway deal which offers free breakfast, a shuttle to the mountain, and lets kids under six ski and stay for free; Moonlight Sleigh Ride offers luxury suites and a sleigh ride voucher; the Spa Package offers dinner at Trappers Tavern, a spa massage, champagne, and truffles—just to name a few. 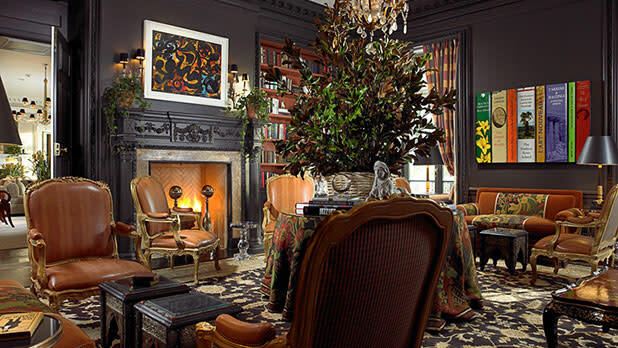 Boost it up a notch for a luxurious weekend getaway at Glenmere Mansion in Chester, NY. 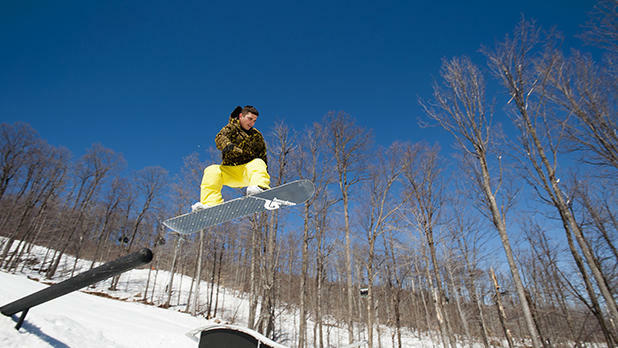 Where wineries like Brotherhood, Applewood and Warwick Winery & Distillery are a 10- to 20-minute drive from the resort. Granted the Award of Excellence by Wine Spectator, the resort&apos;s dining venue offers a seasonally fresh Chef&apos;s tasting menu, wine series and a pre-fixe three-course dinner starting at $95. Check out their engagement packages and seasonal specials. 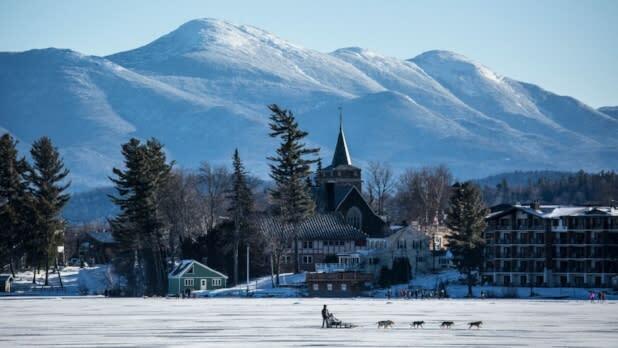 Relax by Saranac Lake at the Point Resort, Forbes&apos; only five-star resort in Upstate New York where cross-country skiing and snowshoeing through Adirondack landscape create a winter wonderland. Nearby, the Wild Center&apos;s museum takes you into the depths of the Adirondacks. Back at the Point, ice skating at dusk and bonfires on Saranac Lake reveal the wilderness&apos; romantic beauty. The resort has an executive chef serving breakfast, lunch, and dinner in the "Great Hall" where black tie attire is suggested.